We have some outstanding members in our District that step up and take on various challenges. This page recognizes these individuals. By the time Henry Miller arrived in California in 1989 with his two children, he had already lived on two continents, performed on many of the world’s most famous stages, and had a budding career as an accountant with Helmsley Spear Inc. 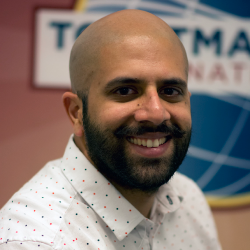 It wasn’t until eight years later in 1997 that his Toastmasters journey began. His travels from Trinidad to Jamaica to New York City to San Jose were just the foundation – the next stage of his life would be filled with many more achievements and successes. In Toastmasters, Henry is a DTM in the traditional program and is District 101’s first ever Pathway’s DTM. Over the past 21 years, Henry has been District 4 Lieutenant Governor of Education and Training (LGET)(2008-09) and District 4 Governor (2009-10), he has competed at the Regional levels twice and once at the Semifinals of the World Championship of Public Speaking for District 4. In 2017 he won the Humorous Speech Contest at the District level. He is associated with five clubs and serves as a coach and mentor to several individuals and clubs in the area. But mostly, Henry is a man dedicated to service, the support of others and is a sheer joy to speak with! I am honored to have had the opportunity to conduct this One in 101 Interview with him this April 2019. Q: When did your Toastmasters journey begin? A: I was working in Technical Support and had to deal with customers over the phone who sometimes had heavy accents. My manager, Archie, was monitoring one of my calls. When the call was over, he was impressed with how I had handled the situation and said, “Henry, you should join Toastmasters!” to which I replied, “Sorry, I don’t drink in my lunch hour.” Not long after I joined SCO Toastmasters, and so began my Toastmasters journey. Q: You began your career as a musician. How does music influence your speeches? A: Music has always been a part of my life. I play the trumpet, guitar, and bass guitar. I also have done music composition and arranging. I was part of the Trinidad Folk Performing Company called “Ambikaila”. The company traveled to England, France the US, and the Caribbean. Their tours included 21 performances at the Royal Festival Hall in England and performances at the Kennedy Center in the US. These experiences helped me gain confidence when facing audiences. I do believe the structure of a good song is similar to that of a good speech; they both need a foundational statement. When you feel strongly about a situation, the words often begin to flow. Public speaking is also a performing art with words. Q: In Toastmasters you’ve achieved many notable accomplishments. Which one are you most proud of? A: At the 2008-09 International Convention, the year I was LGET for District 4, I was personally presented with the award for Excellence in Education, Training, and Exceptional Leadership by the International President of Toastmasters. That was quite an honor. That award was indeed a team effort. Our team was all about leading by example. Our District leadership team had a close relationship with the Area and Division Governors, and we worked on inspiring all of our members to ‘Raise the Bar.’ We achieved that by bringing World Champions to speak at our conferences and to provide workshops and training through the Toastmasters year. Q: What inspired you to pursue attaining your Pathways DTM so quickly? A: As a Pathways Guide when the program was launched I got a lot of pushback from club members to adopt the new program. I decided to pursue Pathways to become familiar with the good, the bad and the ugly about the application and the various paths. I wanted to be as informed as possible to be an effective guide. I quickly realized that most of the content matched up perfectly with the traditional manuals. I then took some of my old speeches and further refined them in Pathways. The on-line lessons helped me identify some of the blind spots in those speeches and reinforced what I had learned from the traditional manuals. Q: What’s the best approach to pursuing the Pathways Program? A: It’s essential to develop your own plan. That said, my approach is to open a path and at the same time open a notepad or Word application on my computer. I then cut and paste things that catch my eye. By the end of the lesson, I have all the information necessary to give a new speech or edit one of my old speeches. With this approach you can make some of your old speeches new again. Q: Of all the lessons you’ve learned about effective public speaking and speech techniques, in your opinion what are the most important? Authenticity. Sharing who you are and what you are about, drawing from your experience and expertise (academic or life). Always model what you preach. A good speech must have a good structure and a purpose. The purpose must resonate with the audience. The structure should offer balance, using humor as a resolution to any tension in your speech. Never leave your audience hanging. A good speech has a strong message, one that you repeat throughout your speech. There’s a “Scarlet Ribbon” analogy I adopted from a World Champion Toastmaster’s coaching – “A good speech should have a Scarlet Ribbon running through it – it is woven throughout your speech, and at the end, you need to tie the bow.” Sell the message, be confident, believe in what you are saying and tie the bow at the end. The speech is a gift to your audience. Q: What’s next for you in Toastmasters? A: I am taking a bit of a step back. I will continue mentoring, coaching clubs, participating in the five clubs I’m associated with, and writing in my blog, Henryomiller.com. Q: It has been such a pleasure speaking with you today! Do you have any final words of advice or thoughts for our members? 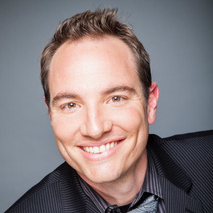 Kristian is an Electrical Contractor and Lighting Designer. He runs his own lighting and design company called Dusk Industries Lighting and Design. He enjoys being self employed, which gives him the freedom to pursue his next career, paid public speaking. He firmly believes in the motto, “earn while you learn”. He is on a quest to make his passions profitable. In 2015, Kristian and fellow D101 Toastmaster, Krishna Noru, started Vrisa Speech Academy, a public speaking school in the San Jose Evergreen area for youth ranging from 3rd to 12th grades. The Academy focuses on basic speech instruction to competitive debate, prepping students for college and beyond. They currently have 4 instructors and are looking to expand. 1) What got you involved in with Toastmasters? I started with TI in March of 2006. I was running a local non profit and a mentor of mine suggested I attend a meeting to see if it would help my leadership skills. I tried a 7am meeting and quickly decided that I needed to attend an evening meeting to get the most out of the process. My home club is Bayview Toastmasters, which meets semi-monthly on Wednesdays at 6pm in Monterey. 2) How has Toastmasters changed your life? I have gained many friends over the 12 years in the organization. How it has most drastically changed my life is the self-confidence I have received from competing and teaching the skillsets I have learned in the process. To see the growth that many new members experience is revitalizing. It keeps me coming back meeting after meeting to learn, grow, and mentor new Toastmasters. 3) Share with us some of your notable accomplishments and challenges in Toastmasters. I started competing early in my Toastmasters journey. After one year as a member, a mentor in my club encouraged me to compete in the Evaluation Contest. I was hesitant at first, not seeing how competition between members would be healthy. After giving a few contests a try, I realized that the only person we are competing with is ourselves. It is a chance for us to test our learning from our club experience on a larger stage, with more stress and larger audiences. That is really the essence of Toastmasters – expanding our comfort zones. The more we can practice in a safe and supportive environment, the more we can find ourselves and the truths we hold near our hearts. From that first win at the District-level Evaluation Contest back in 2007, I decided after some soul searching to really challenge myself and the possibilities in Toastmasters. I read through the winners of contests and found that no Toastmaster had won a contest twice. Could I? How preposterous would I be to try, twice? I challenged my self-belief that I could attempt this and continued to work towards a second District win. It occurred in 2013. What was next? No one had won back-to-back District contests. I succeeded in my final attempt the next year and found that when you put your mind to something, with hard work and great mentorship, you can surprise yourself. I have won the District 4 Evaluation Contest three times and have now retired from competing in that contest to host Evaluation Seminars District-wide, helping our members achieve goals in their Toastmaster’s journey. 4) What is your next goal in Toastmasters? My next goal is to create an online presence that will help Toastmasters along their journey. I achieved my DTM last year with the final project in my process by organizing the Annual Conference in Monterey; Sail to Success. That was a great experience working with Dave Spence, Francoise Muller, and the wonderful leaders of D101. I am working on how to make my passion for public speaking profitable. How does one take their passion and gifts and expand it to those who can grow from that information and inspiration. 5) Any words of advice and personal thought to others? Yuki is a Psychotherapist at the Santa Clara County Behavioral Health Department as well as a Yoga Alliance Registered Yoga Teacher. She and her husband Greg enjoy meditating in holy places in India. 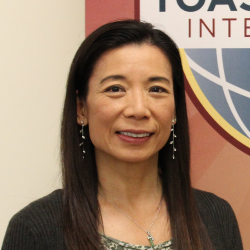 Not only is Yuki a member of 2 clubs, but she recently served as a Club Coach for MCA Club and is simultaneously pursuing the Legacy Toastmasters educational program as well as the Pathways program. 1) What prompted you to join Toastmasters and the club that you belong to? I joined Toastmasters in May 2014 while I was doing my Yoga Teacher Training. I had to do 10-minute and 45-minute presentations during the training. I was nervous and felt my heart pound throughout my presentations. I felt I needed to gain confidence and charisma when speaking in front of a group. Also, I had been in the same position at work as a Psychotherapist for years and wanted to explore leadership potential in the organization. For the last 1.5 years, I have had opportunities to do presentations about trauma transformed care with the Division Director at various clinics, which I truly enjoy doing. My home club is Fair Oaks Toastmasters. I joined Fair Oaks because it is geographically the closest club from my home. I fell in love with Fair Oaks during my first visit. I was greeted by 3 people as soon as I got in the room. Everyone was friendly and eager to help. I joined Sunnyvale Speakeasies Club in July 2016 to get more speaking opportunities. Again, I fell in love with the club I visited. It is much smaller than Fair Oaks. Still, I like the family atmosphere of the club. 2) How has Toastmasters impacted your life? Toastmasters has helped me feel confident in speaking in a group and motivated me to challenge myself. I am more expressive and vibrant in general, thanks to Toastmasters. By listening to speeches from people with various backgrounds and knowledge, I think my world view has expanded. 3) What is your current role in your club and notable accomplishments? I am Immediate Past-President of both clubs. I am serving as Area E2 Director starting July 1, 2018. In April, I started as Club Coach for MCA Club in Santa Clara. I would like to see many guests visit and become members. Please visit MCA Club! I earned ACG, ALB, and PM1 this past year. 4) What do you hope to gain out from Toastmasters? I hope to continue improving my speaking and leadership skills and to keep challenging myself. I also hope to generalize my skills more to my work settings. 5) Are there any additional personal thoughts that you would like to share? When faced with challenges and obstacles, always remember the time you overcome them. Anything is possible. We just have to trust we can do whatever we are going to do. Lydia Lee has been with Toastmasters for 5 years. 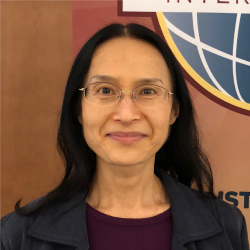 Like many of us, she joined Toastmasters to help improve her communication skills as she is an engineer required to give many technical presentations at work. Lydia was recognized as the 2016-2017 Area Director of the Year for going above and beyond to help out at the district and individual level. Through her story, Lydia shares with us her journey with Toastmasters. 1) Tell us about yourself and how you came to join Toastmasters. I grew up in Hong Kong, where I learned English during my school years. Though English is not my first language, I have no problems communicating with others on a one-on-one basis. However at work, I need to give pre-sales presentations, demos and trainings to groups. I noticed my demos were not effective and audience members fell asleep during my training classes. That’s when I knew I needed to improve my communication skills. One of my coworkers, Koshi Matsushita, a Toastmaster, encouraged me to try Toastmasters out, so I joined in February, 2013, after a Toasters R Us Open House event. 2) How long have you been with your club? I have two clubs – Toasters R Us, which I joined in February, 2013, and Next Step Toastmasters, which I joined in November, 2015. 3) What have you found challenging yet rewarding as part of your journey with Toastmasters? Planning – Toastmasters is a self-paced program. You need to create a plan/schedule to work towards your goal (no matter what you decide to do). For instance, if you want to finish your Competent Communicator in one year, then you need to make a goal to deliver a speech once a month. How to write a good technical presentation – As an engineer, I need to create lots of technical presentations, but those presentations were kind of boring.I am now applying Toastmasters techniques to my presentations – a good intro; three main points; transitions in between and a conclusion with a “call-to-action”. I remembered back in 2015 (two years after I joined Toastmasters), I had an opportunity to deliver a 15 minute speech to 200 people at a technical conference. After the speech, I talked to some of the attendees, and the first thing they asked – “Are you a Toastmaster?”, as they enjoyed my technical presentation a lot! Impromptu speech – It took me two years to deliver my first Table Topics, but I have finally gotten over my fear. Leadership skills – All events in Toastmasters are on a volunteer basis, I got to learn how to persuade and inspire others to help in different Toastmasters events. 4) What recognition and awards have you received from Toastmasters? Area Director of the Year (2016-2017) – this was a total surprise to me. I never imagined going for an Area Director role, but it’s other members (Aditi Vijaykumar and Karthik Kalpat) in my clubs who set a good example and inspired me to move forward. And many thanks to all the Club leaders in my Area who stepped up for key events such as Club Officer Trainings, Toastmaster Leadership Institute events and contests. DTM (March 30, 2018) – When I first joined Toastmasters, my initial goal was to finish a Competent Communicator (the first 10 speeches). I never imagined going all the way to become a Distinguished Toastmaster. Frankly, it was not an easy task – it took me 5 years. But I am very happy to finally get it. 5) Do you have any word of wisdom or advice? Dream without action is just dreams – you need action to become reality. Don’t give up – The secret to our success is that we never, never give up. Arjun Ajjampur is a multi-faceted Toastmaster. He actively contributes to the Conference and Club Growth teams and has taken various roles as Graphics Designer, Event Photographer, and Club Officer Trainer. I had a chance to conduct a behind-the-screens Table Topics session with Arjun. I am originally from Bengaluru, Karnataka, India. I have a Master’s degree in Industrial designing and worked in a few startups in India before moving to the US in August 2012. Apart from being a Toastmaster (with my home club, North Valley Toastmasters), my other interests include motorcycling, reading, and sketching. How and when did you find Toastmasters? I heard about Toastmasters for the very first time from my wife, Mythili. I attended my first Toastmasters meeting in 2013. To be honest I didn’t find an immediate value and felt a little self-conscious of speaking. I always felt even though I knew the English language, my communication skills weren’t good enough. So I gave it a shot. But even before officially becoming a Toastmaster, I had an interest in sketching and arts. So I took up program designing for one of the District Toastmasters conferences. That gave me an idea of Toastmaster events even before I became a member. Do you remember your icebreaker? From then until now, how has Toastmasters helped you in public speaking? Usually, people compare the rest of their speeches with their icebreaker and check how much they have improved over the time. Having an avid Toastmaster as my life partner made me deliver a very well-planned icebreaker. I put a lot of work into it and had my wife evaluate it to improve it before I delivered it to my club. When I started speaking, I would force humor. But I since developed natural humor in my speeches and all thanks to the Toastmasters’ experience. Of all the speeches delivered, which one of yours is your personal favorite? I would have to say it is my speech for the 2015 Humorous Speech Contest. I shave my head these days, so I spoke about the time before I shaved my head and what I used to do then compared to after shaving my head. It received an amazing response and I advanced to the District finals of the contest. How do you come up with topics for your speeches? Usually, I get inspired by the things I read. So my speeches are all based on the books and articles I read. Not just for writing speeches, reading also improves grammar in general. For example ‘Surely you are Joking Mr. Feynman’ by Richard Feynman has helped me come up with Humorous speeches. For topics related to science and nature, I have gotten my inspiration from Elizabeth Colbert’s ‘The Sixth Extinction’. Tell me about your interest in graphics design? How all have you utilized it for TM? I have an interest in painting, sketching, and art since I was young. When I learned about designing the contest and conference programs, I wanted to try out. Even though I had an interest in designing, the procedure was completely new for me. So I had to learn about the Toastmasters procedure and how much work goes into it. You are a member of the Conference and Club Growth teams (Club Extension Chair & Club Ambassador Program Director). Tell me about your role and responsibility. I enjoyed leading a team who were all working towards the same goal, i.e. conference planning. It was great to see many friendly faces enjoying the conference. Chartering a club is a very fulfilling experience. As the Club Extension Chair, it has been a wonderful learning experience. I talk to new Toastmasters clubs and members, facilitate demo dates, see how the chartering process unfolds, and also set up the new club by providing all the paperwork. The Club Ambassador Program allowed me to understand how collaboration can help share best practices between clubs and thereby bring us closer as a community. Tell me about your interest in Photography. To be honest I am not a keen photographer. I am what they call an “Instagram photographer”. I am more interested in the composition of the photos than actually clicking them. But I enjoy taking pictures at all the Toastmasters events as when I point the camera at people, they pause, smile and pose! What is your advice for new Toastmasters members? In life, you always get what you put into it. So only by trying everything will you know what you want. Try out all the roles and opportunities in Toastmasters and don’t just restrict yourself to your club. Try to find opportunities outside your club and involve yourself even more. From a computer science engineer from the city of Coimbatore, Tamil Nadu in India to District 101’s Area C5 Director, Sriraj Vaidyanathan has come a long way – well, literally 8874 miles. 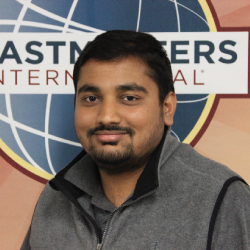 When asked about his Toastmasters career, Sriraj’s eyes light up like a kid in a candy store! No wonder he is our 2016-17 District 101 Toastmaster of the Year!! Sriraj met the current love of his life, Toastmasters, at his company, Computer Sciences Corporation (CSC) in Chennai, Tamil Nadu. Sriraj’s friend had casually invited him to a CSC meeting in April 2011 and within the first few minutes, Sriraj was already in heaven. After traveling and working in various countries, Sriraj landed in San Jose in January 2014 and found a new home club, Hot Buttered Toastmasters. Sriraj served as the District 101 Conference Chair last Fall (in conjunction with serving as an Area Director), a role he says is similar to what a program manager does in a company. Listing out things to be done and tracking if they were completed were some of the chief tasks he had to do as the Conference chair. He admits he had no clue what he was doing when he first took on the role. But he felt lucky to have experienced team members who were familiar with registration formalities, printing promotional fliers, running the opportunity drawing, etc. The biggest challenge Sriraj faced as the Conference chair was learning all the details that go into preparing for the Conference. Seeking experienced members helped him gain that knowledge. He also learned how to better motivate people to take on responsibilities for the missing roles. Sriraj did miss a few things along the way and had to scramble at the last minute to complete tasks. He also felt he missed aspects of managing between less experienced team members and ensuring best practices for running a Conference were followed. Because of this, Sriraj stepped up again as the Spring 2017 Conference Chair to challenge himself to do a better job. As a speaker, Sriraj’s biggest challenge is adapting to the audience, especially making them laugh during humorous speeches. Sriraj credits Kurt Sims from his home club as a great inspiration to him. Whenever he delivers a speech, Sriraj makes it a point to note Kurt’s reactions in order to gauge if his speech is good or needs improvement. He is thankful for all the feedback he has received, whether constructive or not since they have catapulted him to where he is now in his Toastmasters journey. The feedback has opened up new ideas and improvisations for him. Outside of Toastmasters, Sriraj loves reading Harry Potter books (if he does read at all). He prefers watching movies and listening to music and was even trained in South Indian classical music for 7 years. Sriraj plans to continue challenging himself in the future by participating in more contests and taking on another District Leader role. As our Spring 2017 Conference Chair, Sriraj already demonstrates that he is not afraid to step right back up to try things again. When asked to name one quality all Toastmasters should have, he doesn’t hesitate to say, “Willingness to fail”.